Goals from Player of the Match Cui Qiuxia, Zhang Xiaoxue and Gu Bing Feng established a commanding 3-0 lead for China before a breathless final nine minutes in which New Zealand come agonisingly close to producing a remarkable comeback, twice getting to within one goal of the home side before China eventually prevailed. The result - which came a day after China lost 1-0 to Argentina in the same stadium - leaves New Zealand sitting in fifth position in the FIH Pro League standings, while China remain in seventh position. The FIH Pro League continues in USA on Friday 29 March as United States welcome Belgium women to the Spooky Nook Sports Centre in Lancaster, Pennsylvania. 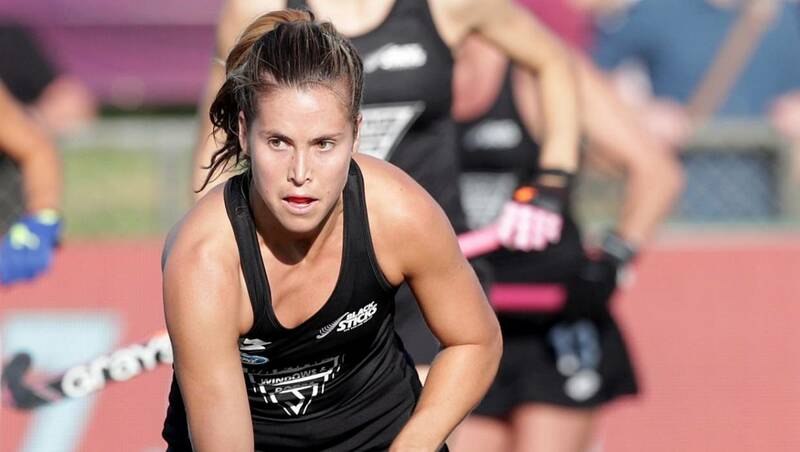 Mistakes cost the Black Sticks in a loss to China, says coach Sean Dancer. The New Zealand women's hockey team suffered an upset 5-3 defeat in their FIH Pro League match at Wujin Hockey Stadium in China on Friday, as the hosts played with a new attacking flair. "China are a skillful solid team and tonight our mistakes hurt us," Dancer said. "In the last quarter we started to apply some pressure, and were able to get back into the game - unfortunately it came to late in the match." It was a reversal of the 2-0 win NZ had when the two sides met for the first time in the FIH Pro League earlier this year. 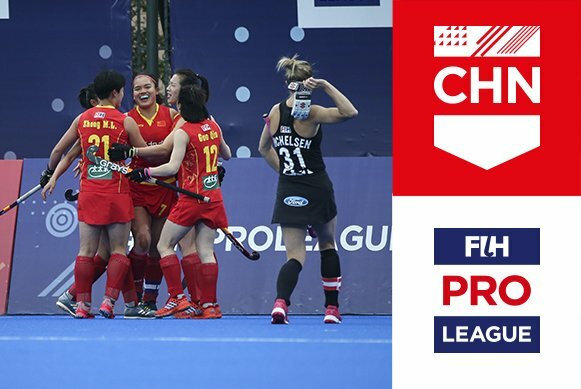 The Black Sticks started confidently but fell behind when China scored from their first penalty corner and that lead was doubled when the visitors conceded after turning the ball over in defence. Bingfeng Gu scored with an outstanding drag flick to make it 3-0 but NZ struck back almost instantly back through captain Stacey Michelsen, who picked up a loose ball in the circle and rocketed her shot into the back-board. Shiloh Gloyn pulled the Black Sticks within one with five minutes to go but Qiu Guo netted China's fourth soon after. In a goal-frenzied final few minutes, New Zealand reduced the deficit to one through Rose Keddell with 30 seconds remaining, only for China to make it 5-3 from a penalty corner with the last play of the game. KUALA LUMPUR: Poland travelled for 48 hours, before reaching Malaysia at 3am earlier today (Friday), coming from a chilly, winter climate to searing hot Ipoh, but still, they are cool and coy about their opening match tomorrow (Sunday). 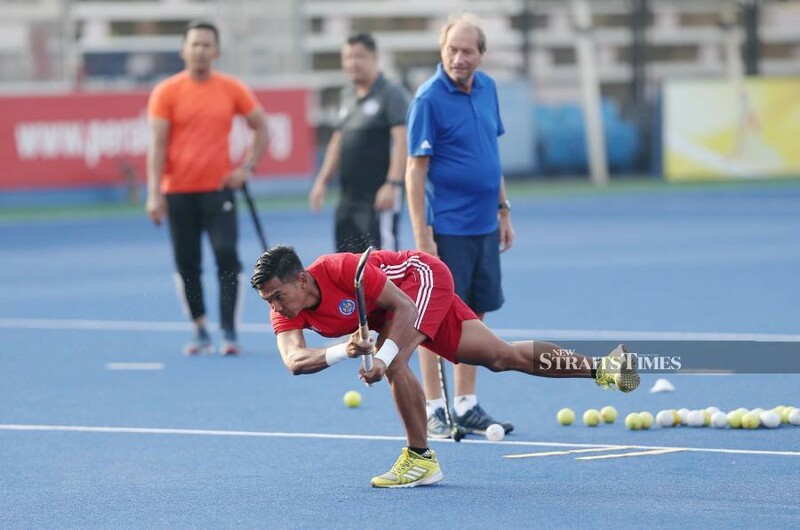 They will open their campaign in the 28th edition of the Sultan Azlan Shah Cup against hosts Malaysia of all teams, and have placed the pressure squarely on coach Roelant Oltman’s and his men. “Yes, we are tired and jet lagged, as we arrived from a very cold and chilly Poland to the heat and humidity here in Ipoh this morning (Friday), but we have nothing to lose and everything to gain from this tournament. The pressure will be on hosts Malaysia,” said Poland coach Karol Sniezek. Skipper Bartosz Zywiczka echoed his coach’s sentiments, and it looks like the opener between Poland and Malaysia is going be as tough as spelling their names. Poland were last minute replacements after South Africa withdrew, citing financial problems. “As a coach, I am really grateful to be able to bring my team for the Sultan Azlan Shah Cup because as a player, I dreamed of playing in this tournament but I never got the chance. “We would like to thank the Malaysian Hockey Confederation (MHC) for inviting us to make our debut in this tournament. “It will not be easy playing against Malaysia who have the strong support of their own fans, but the pressure will be on them to preform, while we will do the best we can,” said Sniezek. After a training session earlier today (Friday), both the coach and captain came to the press conference with rosy cheeks, and tanned foreheads. For the record, Malaysia beat Poland 3-1 in the 1975 World Cup in Kuala Lumpur, and in the last encounter in 2015 at the World League Round Two in Singapore — Malaysia hammered Poland 8-0 in the final. Malaysian coach Roelant Oltmans was evasive when asked about his team’s chances playing against a jet-lagged Polish side, who will also have to contend with the hot and humid weather. “No, being jet-lagged as well as coping with the searing heat will not pose a problem to a team as dedicated as Poland, and I believe they will put up a good fight, but we have our own plans on how to stop them,” said Oltmans. Skipper Razie Rahim, who trained under former World no 1 penalty corner flicker Taeke Taekema of the Netherlands for a week in Kuantan, was more optimistic. “I believe after a week of training and undergoing motivational sessions (in Kuantan) we are ready for the tournament. As for me, Taekema fine tuned my drag flicks and made me much sharper,” said Razie. KUALA LUMPUR: South Korean Shin Seok Kyo is a likeable coach, and his bubbly antics never fail to break a smile on the faces of those around him. But underneath, he is a deadly plotter whose aim right now is to prepare his charges to qualify for the Olympics in Tokyo. After a disappointing fifth in the Jakarta Asian Games, the coach is looking forward to the Azlan Shah Cup to regain their glory days. "It was a very bad Asian Games for us and right now we are in the mood to qualify for the Olympics, and Azlan Shah will give us a chance to prepare early for our qualifier later in the year," said an ever smiling Shin. South Korea whipped Malaysia 6-0 and Japan 4-1 in earlier friendlies, and when they became joint-champions with India in the 2010 Azlan Shah Cup, they had also demolished Malaysia 6-0 and Japan 4-0 in the run-up back then. (Note: India and South Korea were declared joint champions after a thunderstorm disrupted the final). "I seriously don't know how we beat Malaysia 6-0 in the (Tuesday) friendly, but we did the same when we became joint champions for the first time, and we will ride on that in every match we play here. "The end target is to qualify for the Olympics, and so we have brought our best for the Cup," said Shin. South Korea open against Canada today, and it is expected to be a cracker. 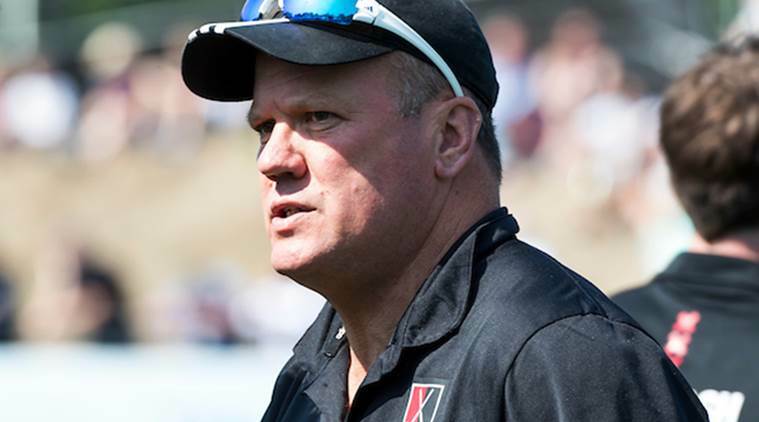 Canada coach Paul Bundy is also looking towards the FIH Series Finals which Malaysia will host in April. "This is an early preparation for my players, acclimatization as well, as we will be playing in the Olympic Qualifier in KL again soon. We are second to India on world ranking here, but that means nothing if we do not play to our best capabilities as every team here is capable of upsetting the other," said Bundy. KUALA LUMPUR: It’s all about redeeming the battered pride when Malaysia begin their challenge in the six-nation Sultan Azlan Shah Cup in Ipoh, Perak. World No. 13 Malaysia will open their campaign against world No. 21 Poland today at the Azlan Shah Hockey Stadium. The other participating countries are India, Japan, Canada and South Korea. Malaysia are hoping to make up for their disappointing outing in the World Cup in Bhubaneswar, India, last December, where they finished a dismal 15th in the 16-field team. National coach Roelant Oltmans from Holland has made seven changes to strengthen the team and named few young players such as defenders Muhd Arif Syafie Ishak (pic) and Luqman Nul Hakim Ahmad Shukaran to give them a first-time international exposure. With more than 30 years of coaching experience behind him, Oltmans wants to help Malaysia lift the elusive title. Malaysia reached the final five times since the Sultan Azlan Shah Cup tournament started in 1983 but finished as the bridesmaid in all occasions. Oltmans hoped for a consistent showing. “We’ve had a short preparation time but we had focused on our penalty corner set pieces. We had video sessions and also gave motivation talk to the players,” said the 64-year-old Dutchman. “I’ve included few new names and I hope they will shine and play consistently throughout the tournament. “The tournament is important to see the quality of our players and where they stand,” said Oltmans. Malaysia are also using the tournament as part of their preparation for the FIH World Series at National Hockey Stadium in Bukit Jalil from April 26-May 4, which is a qualifier for the 2020 Tokyo Olympic Games. Plainspeak: Indian captain Manpreet Singh is keen the youngsters in the team soak up the pressure and deliver. The Indian men’s hockey team, putting behind the disappointments of last year, will renew its quest for glory when it takes on Asian Games gold medallist Japan in its opening encounter of the 28th Sultan Azlan Shah Cup here on Saturday. Despite being without a coach and a series of injuries to its players, most recent being Gurjant Singh, who returned home after fracturing his nose during a practice match, the Indian team is upbeat and confident of a show good. “Japan, Korea and hosts Malaysia will be the teams to watch out for. They are travelling with full squads and they will pose a stiff challenge for us,” skipper Manpreet Singh said on the eve of the opening match. The Indian team reached here on Monday and has been going about its routine to get used to the humid conditions. On Thursday, the team played a practice match against Malaysia. India’s previous outing ended with the team finishing fifth but saw some good performances by a young unit combined with a few senior players. The team had lost narrowly (3-2) to Olympic champion Argentina in is first match, drew with England 1-1, lost to eventual champion Australia 4-2 and beat Malaysia 5-1. Though it lost 3-2 to Ireland in the round-robin stage, it won 4-1 in the placing match. “Youngsters have always used the platform to come up with memorable performances here and though the forwardline, barring Mandeep Singh, has about 12 caps between each other, we are hopeful they will soak up the pressure early on and deliver,” Manpreet said. India has been crowned champion in 1985, 1991, 1995, 2009 and shared the honours with South Korea in 2010. In most recent years, the Indian team won silver in 2016 after losing to Australia and clinched the bronze in 2017. Reid’s compatriot Warren Birmingham, too, has been linked to the job. Birmingham is one of Australia’s greats, having represented the Kookaburras for more than a decade. He was a member of the team that won the 1992 Barcelona Olympics silver medal. Another Australian, Brent Livermore, too has applied for the role although his chances are considered to be slim. Indeed, Glenanne and Banbridge’s title hopes intertwine for the second successive week in the men’s EY Hockey League as two former leaders look to keep up the chase of Lisnagarvey. Unbeaten in all competitions two weeks ago, the Glens have endured their toughest patch with losses to Three Rock Rovers in both the league and the Mills Cup final. For Bann, they have just one point from nine and have exited the Irish Senior Cup in the last month as their form has dissipated completely. That point came in a battling 3-3 draw between the two sides with David Rae’s hat trick denying the Glens the spoils in the last minute. Nonetheless, the close-run nature of the league means both are still in the hunt with Glenanne second on goal difference and Bann three points back with a game in hand. Lose again, though, and it would be a critical blow to their chances. They are unlikely to get a favour from leaders Lisnagarvey who face Cork C of I for the second time in a week with the Ulster side winning the first leg 8-2. YMCA are another with a large defeat to try and turn around following a 7-1 defeat against Monkstown seven days ago. Three Rock Rovers have hit form of late with seven wins in a row in all competitions and they will look to repeat their 6-3 success against Annadale. They had the game seemingly done and dusted at half-time but Callum Robson inspired a trio of goals to narrow the gap and give confidence for this week’s tussle. Pembroke dropped out of the top four for the first time last weekend and so will need to keep up the pressure on Rovers with a positive result when they host Cookstown. In Leinster Division One, most eyes will be on Corinthian and UCD’s meeting at Whitechurch Park where second play third. UCD’s title charge has been derailed by losses to Avoca and Clontarf as injuries have bitten hard while the reds have only dropped two points since the turn of the year, scoring 17 in their last two games. Railway Union will aim to avoid any slips in Santry against mid-table Dublin University; Clontarf meet Portrane, Dublin North face Avoca and Kilkenny take on Rathgar in the other games. In Munster, there is a mathematical possibility of Harlequins winning Munster’s Division One should they beat basement side UCC at home. Waterford need to beat Cork C of I B to keep the chase alive. After a tumultuous 11-days, Pegasus have jumped from second place in the Irish women’s EYHL to within touching distance of the title all of a sudden.